Southeast chinese province of Jiangxi boast stunning mountains and top quality Chinese porcelain. The provinces rice paddies, rivers and mountains boast incredible landscapes and the province has no shortage of cultural heritage. Jiangxi is located in the middle to lower reaches of the Yangtze river. The province borders Zhejiang and Fujian to the east, Guangdong to the South, Hunan and Hubei to the west and Anhui to the north. The province has a humid subtropical climate with mild winters and warm, wet summers. The provincial capital Nanchang offers numerous job vacancies across kindergartens, public schools and training schools for passionate TEFL teachers looking to teach English as a second language. Additional cities with opportunities to TEFL teach are Fuzhou, Longyan and Xianning. 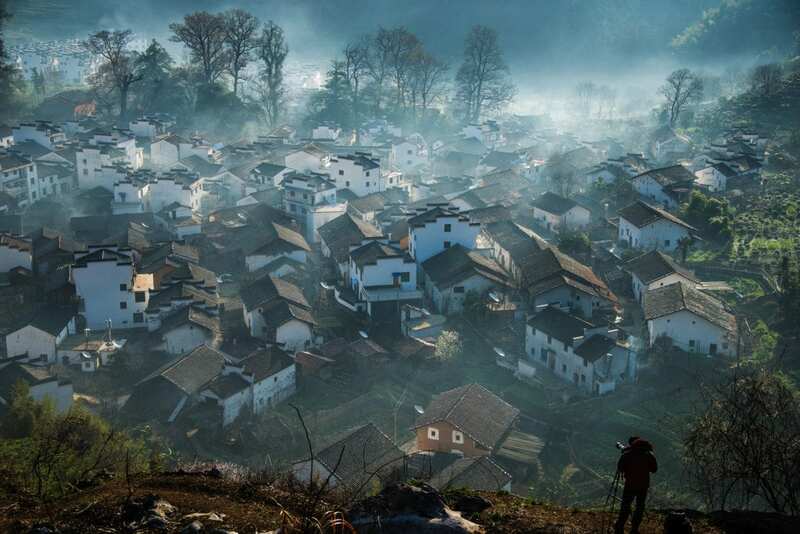 These cities in Jiangxi have a comparatively affordable cost of living and average salaries start from around 9000rmb per month and head upwards. Jiangxi province has an abundance of natural beauty and beautiful landscapes. Poyang lake is the biggest freshwater lake in all of China and the largest winter habitat for crane birds. To the east of Poyang lake lies mount Lushan, a great spot for hiking and taking stunning mountain photos of the peaks rising up through the clouds. For Porcelain lovers, Jingdezhen town is known as the capital of porcelain in all of China. Ceramics were made here as early as just under 2000 years ago and today the town is a great place to buy Chinese ceramics. Jiangxi Cuisine is also known as ‘Gan cuisine’. Known for its crisp, clean taste not too spicy sweet and salty. The dishes promote the natural flavours of the ingredients rather than overpower them with herbs and spices. The province is also famous for its fried snacks that can be found in stalls lining the provinces towns and city streets. A noodle specialty is Nanchang rice noodles, this dish has a long history and is made of high quality ingredients to make the great tasting noodles.